MADISON –On Monday evenings, a handful of parents gather at Lighthouse Christian School to better understand the vital role they play in the successful education of their children. One of them, Marcia Vinveza, joins her colleagues after a day working in a nearby factory. The single mother of a third-grader says she chooses Lighthouse Christian School because the school has earned her trust. It’s a safe place where her daughter, Kiara, will not be overlooked. But Lighthouse leaders aren’t only focusing on the students, says Principal Tia Sierra. If children truly are to grow in their learning, parents need to understand their essential role in that process. After researching the idea of parental engagement, Sierra decided to begin the Parent Leadership Institute series this fall. Nearly half of the 93 elementary school students are Latino, many of them English Language Learners who speak Spanish at home. The school is unique in its approach to growing students with multiple language abilities. Lighthouse is an emersion school – half of the classes are taught in Spanish and half in English. All students participate in the bilingual instruction and also receive Chinese lessons two times a week. 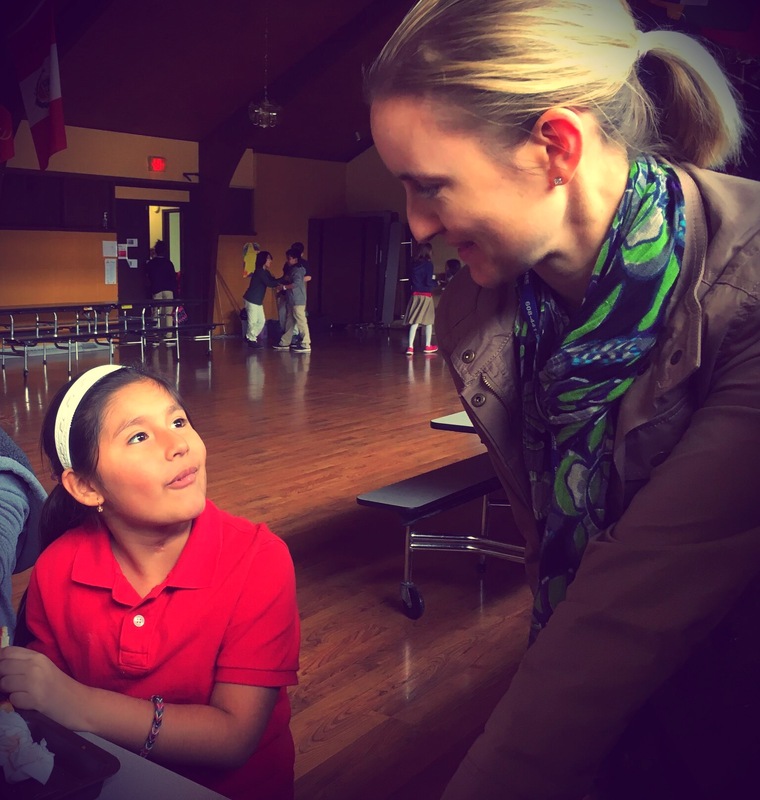 Sierra, who earned her master’s degree in bilingual education from Edgewood College, says she truly wanted a school where parents can offer their gifts and become school leaders, advocates for the children and decision-makers at the school. “We are really focused on ministering to the whole family,” she says. More than half of the students come from families participating in the Wisconsin Parental Choice Program or in the Special Needs Scholarship Program. Most of the parents have no idea how the government is involved with education, Sierra says. We are teaching some very basic ideas about how the U.S. educational system works. The six-week institute begins with an opportunity for parents to simply express their thoughts and ideas about their children’s school experience. Then, Sierra helps them understand about the many facets of education, from the history of education in the United States, to the development of a child and how children learn. The final section of the series focuses on what parents can do to help their child be more successful and then how they can become involved in the school as a mentor or committee member. Sierra asked Paula to become involved on the school committee, she was eager to help however she could. She has a first-grader at the school and two other preschoolers. For Marcia, too, the faith-based environment was a determining factor for choosing Lighthouse, which is now helping her to become more of an advocate for her child.